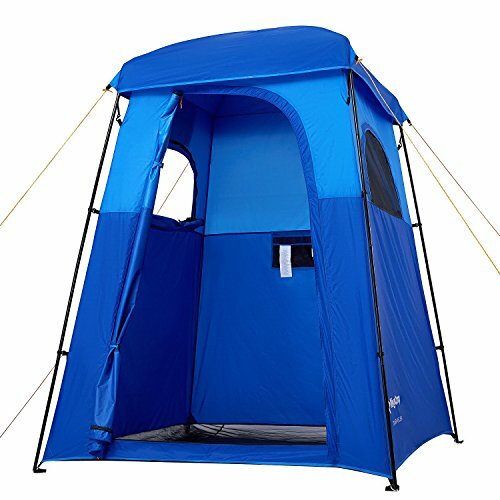 The Blue bathroom tent Camping has a practical system of mounting and dismounting popularly known as “Pop Up” or “2 seconds”. 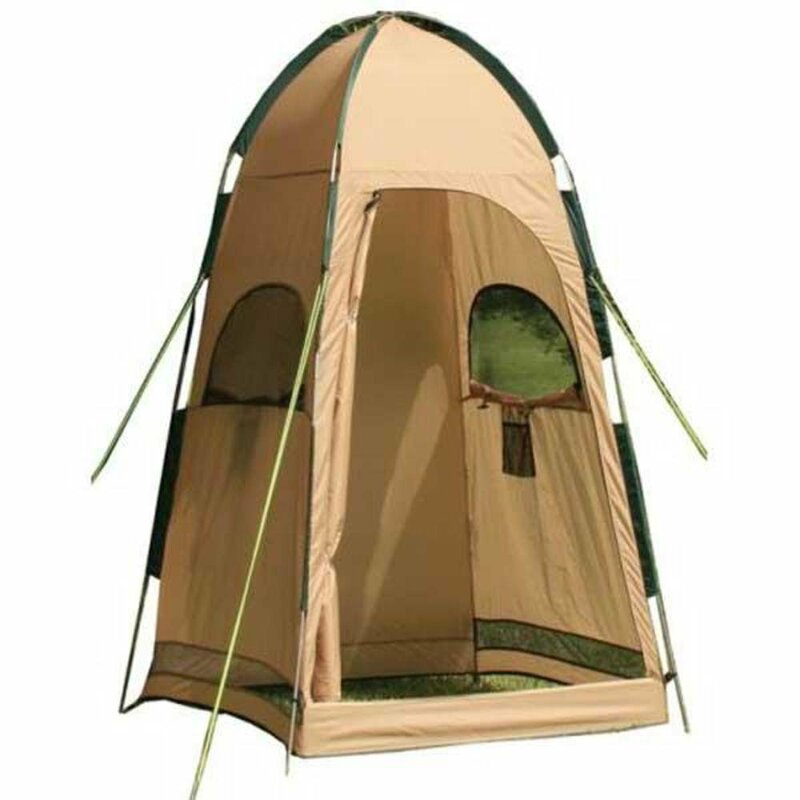 Different from the tents of this type of structure, tent-bathroom is much smaller in diameter when closed because they don’t have large dimensions when open. 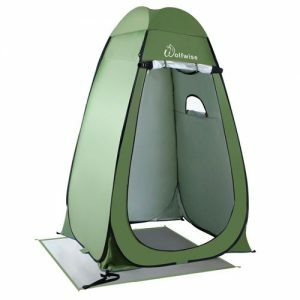 Designed to serve an adult standing, has just over 1 m x 1 m in your base tapering up is able to accommodate some elements linked to the “bathroom” in the camping, as solar shower or shower 12V, portable toilet and even those portable sinks. We assessed the weight of 2, 780kg of weight inside the carrying case. 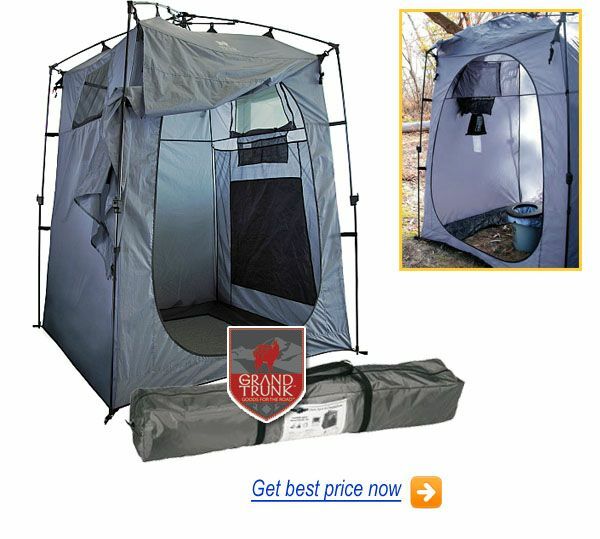 For those not familiar, the tent-bathroom is very useful for locations without toilets or even those campgrounds crowded on holidays or whose toilets don’t have good cleaning. It’s perfect for managing sanitary hygiene with children, with their own devices. 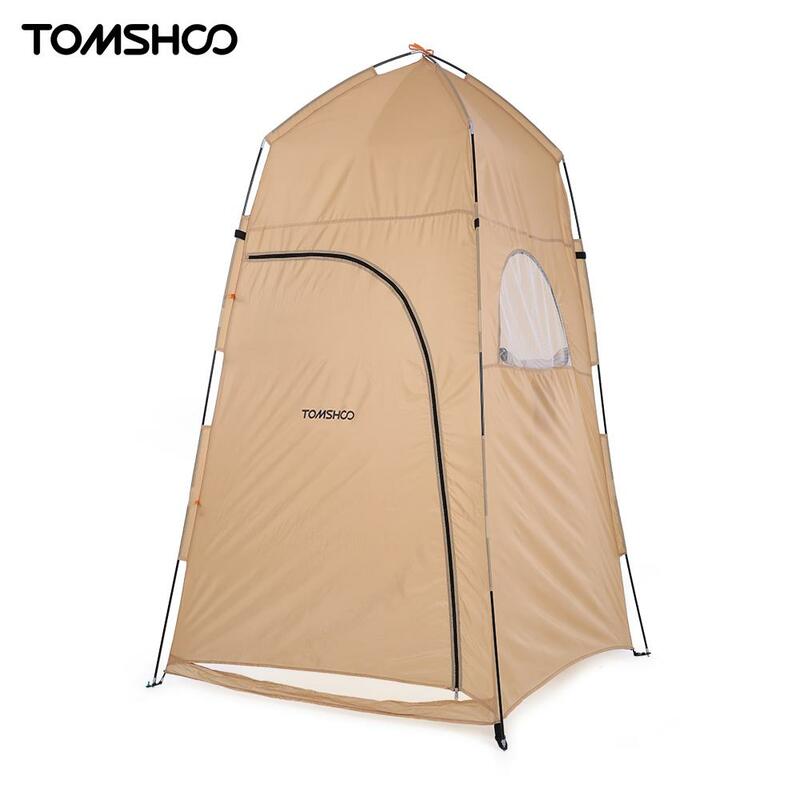 The cabin can also help in the exchange of clothes up, when the tent does not have time for that. 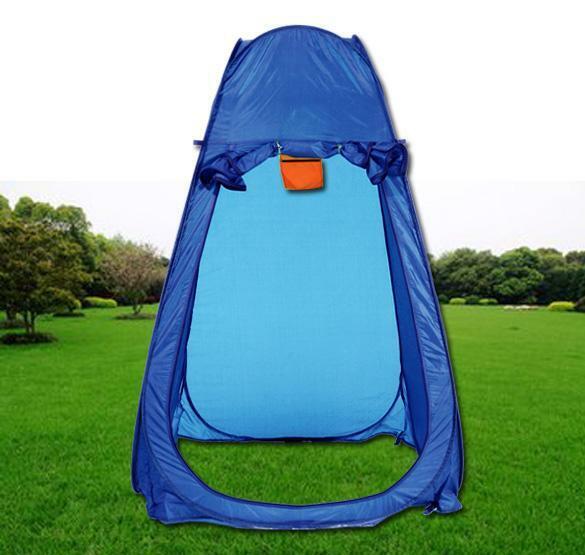 We accuse key differentiators in the model 2 Blue Camping products/similar marks: the tent has larger in your base which can be favorable for those who want to create an environment of complete bathroom with various equipment and unfavorable to who just want to shelter bath time, because occupying a larger space in both the camping and on guard. Another differentiator is the your roof closed. 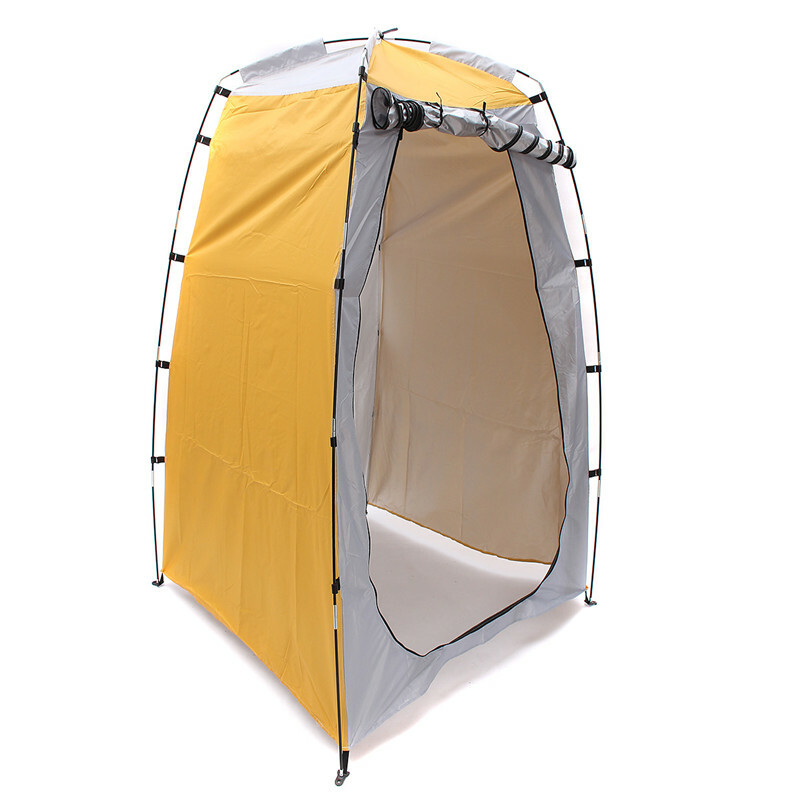 Perfect for those who want the full sun and shelter from the rain of those belongings, can leave the bath a bit more “suffocated” and without the possibility of positioning totally top of the shower. 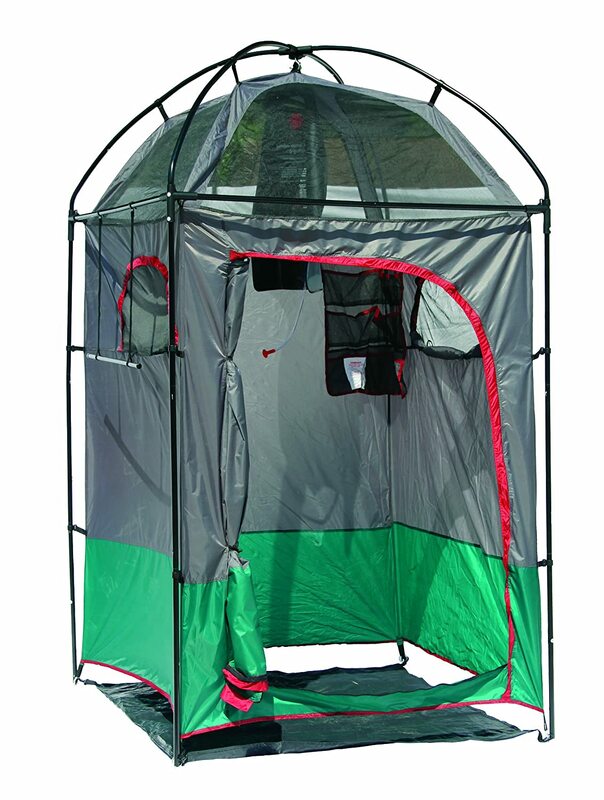 The tent has a zippered door that collects on top preventing don’t get dirty. 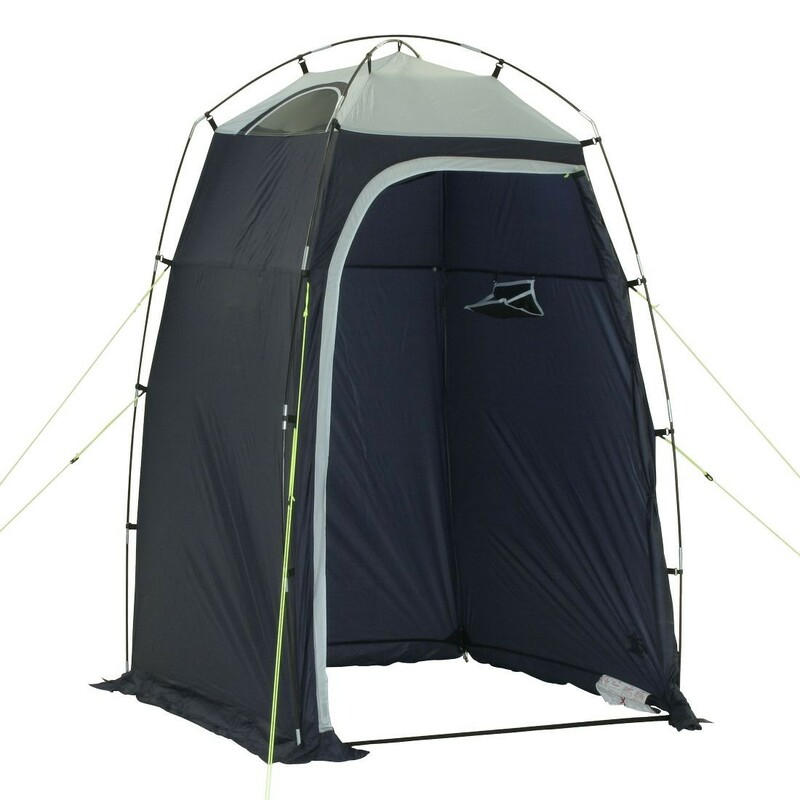 The lack of open ceiling is offset by the higher side window also with zipper that guarantees ventilation. 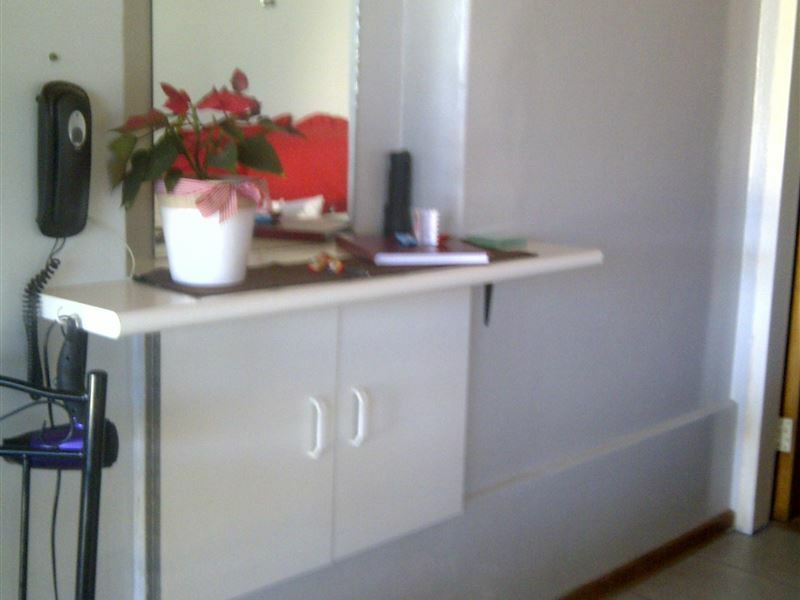 Also features built-in Towel rack through a nylon Ribbon on one of the sides which houses fine until two towels. A bag of the same material can shelter some belongings and a SOAP dish. 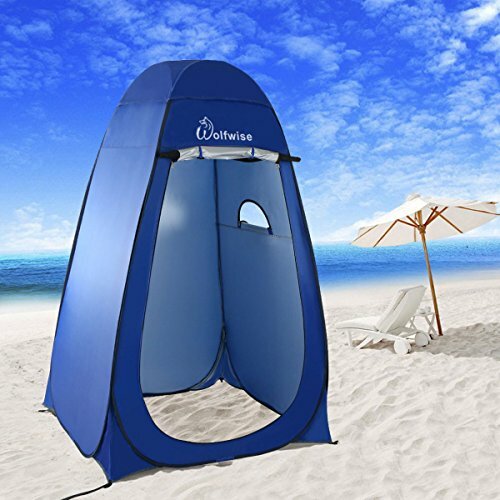 Something very useful for the use of the equipment. 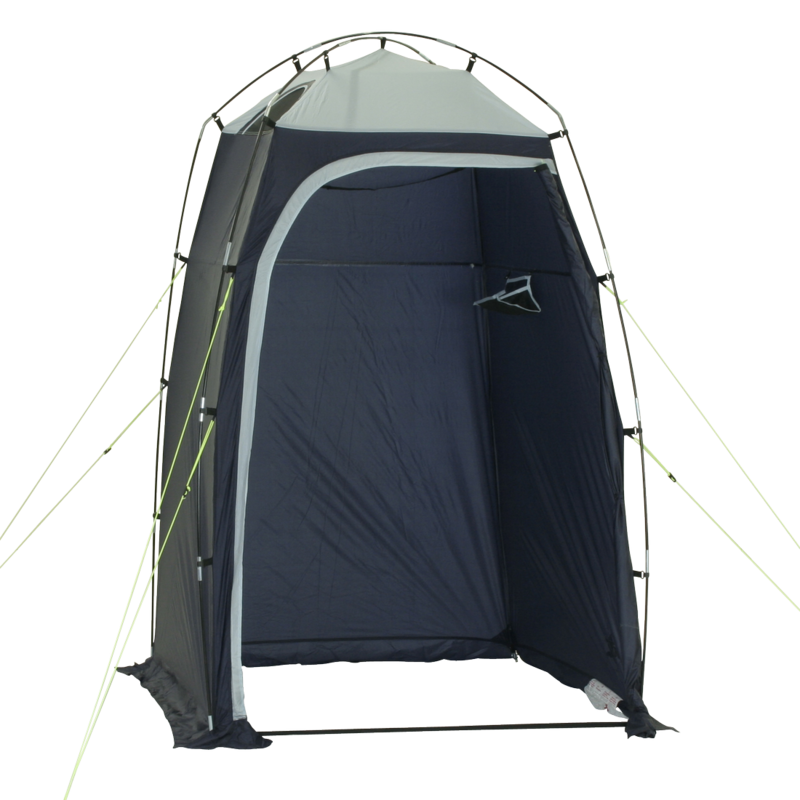 Assembly: The installation is extremely simple, by removing the tent round case with zipper and letting it open alone on the floor. 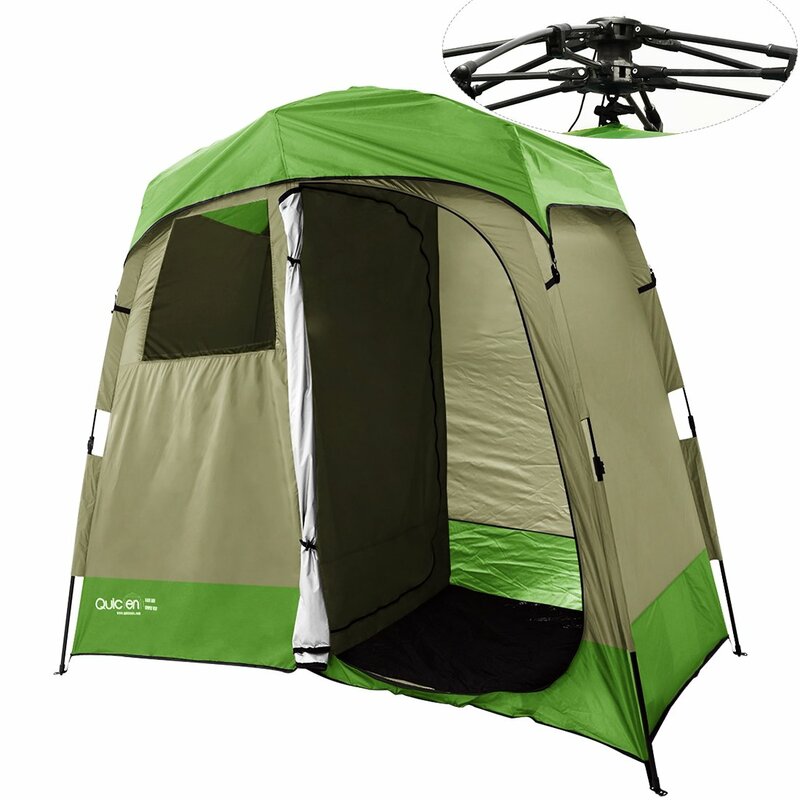 Attention: camping gear are not “Gugu’s Lair”, IE-toys-so try not to throw them in the air. Let the structure go if stretching slowly, because sometimes it can escape and hit in the face. Then just open the base and fasten the four ends with the espeques that, in our case, not the product. 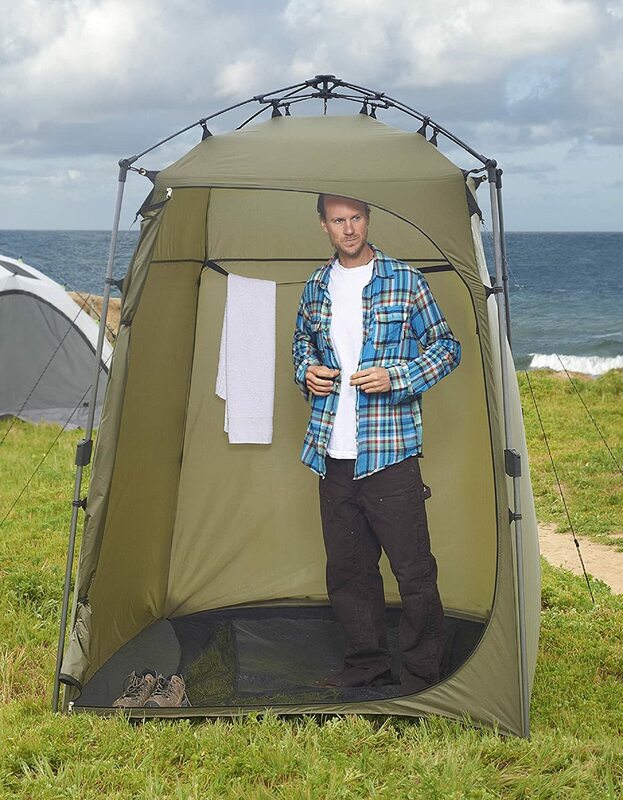 Camping bath ready. 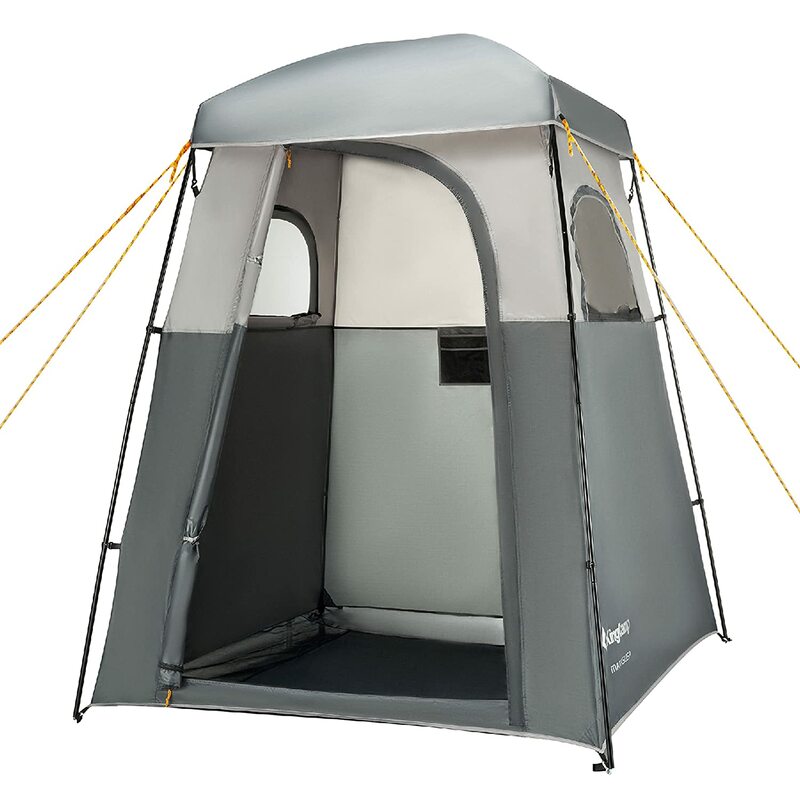 Disassembly: The product is not followed instructions for dismantling that, for those who know the products “pop up” if it makes quite difficult when there’s no experience. A video on the internet was our solution what encouraged us to shoot the disassembly in the video below. 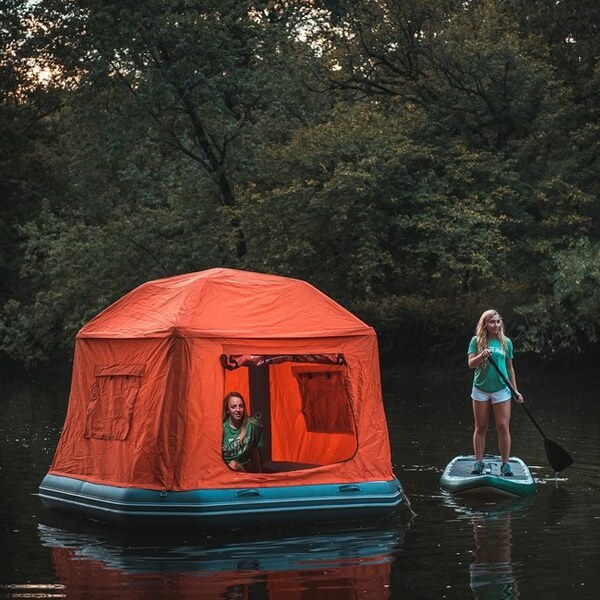 You must drop the espeques and “bend” the base of the tent until she become a “Board”. Position in the thin end as she is rested on the ground. Hold the tool with both hands bending toward the thicker end while your longitudinal segment will form an arc. At the end of the movement, these two arcs of course will be “folded” inside, as if we were “double” 1 8 in half. Will be formed the round disk after hit in 3 equal layers are ready to be stored in the case. His own bag and zipper closure will assist in this final hit. The bag has carry handle for transport and even tapes that turn in a backpack (although we don’t much use it). 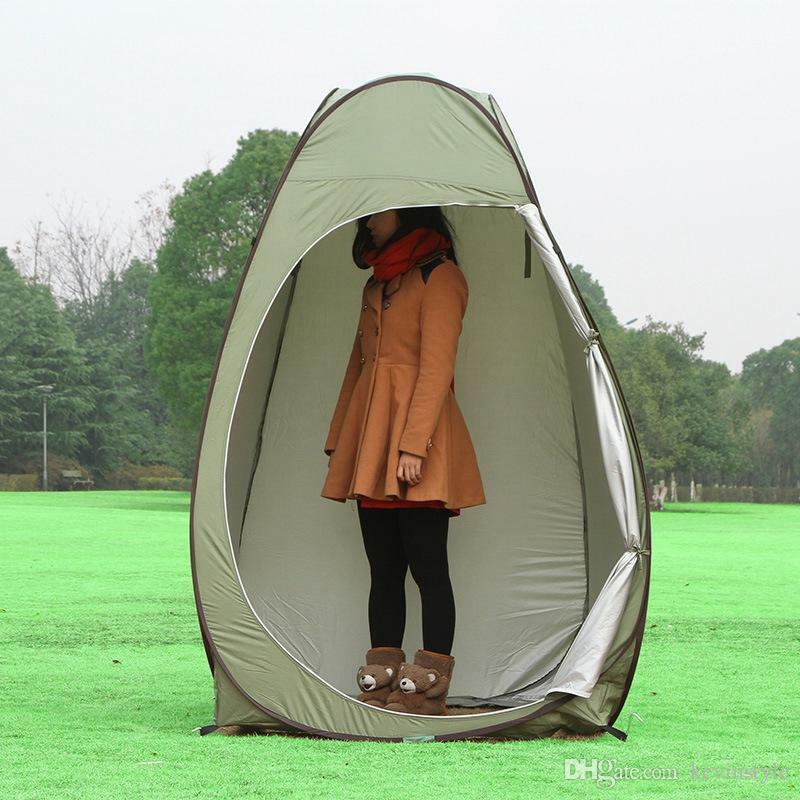 There to leave room for any more equipment for utilization of the purse. 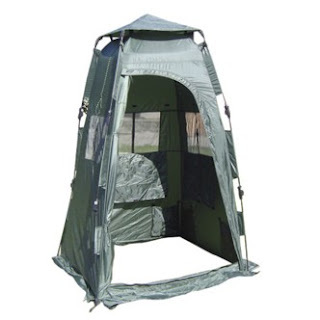 Some ideas: bathroom tent when used only for bathing, can have their idle used for other purposes such as House accessories and objects or even a clothesline for drying floor sheltered towels of possible rains that occur when we are on tour. 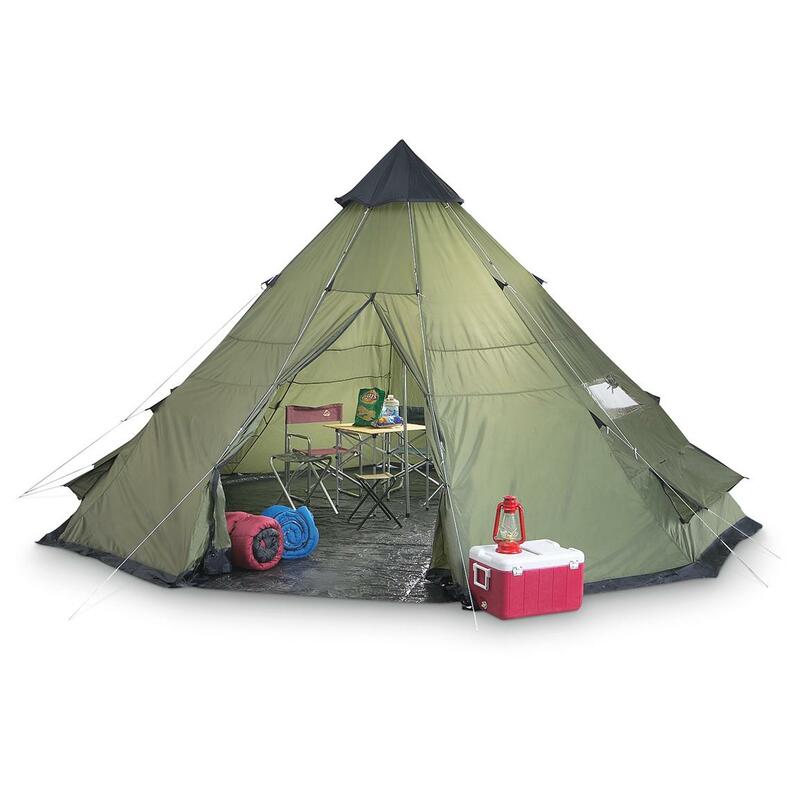 * Product by manufacturer BLUE CAMPING for evaluations and analyses MaCamp.